Forgetting Self, which gives you (the seer) light to see, does not run after the appearance (the world which you see) totally confused. The appearance will disappear and is hence not real; but Self, the source of you (the seer) can never disappear. So, Know that ‘That’ alone is real. 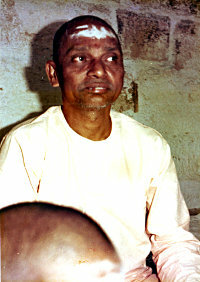 In the Presence of the Lord (who ever shines as “I am” in every one) who has intentions of His own, the embodied Jivas busy themselves outwardly, treading on many courses of action and reap the fruits with justly result, until finally (realizing the futility of actions) they turn Self-ward and attain Liberation. The ship will be destroyed by the storm, if its sails were spread outside. But it is safe when its anchor is sunk deep into the sea. Similarly, if the mind were sunk deep in the Heart, instead of being spread outside, that is Jnana. The Self Consciousness (Sat-Chit) which shines in all, as All, is the Guru. 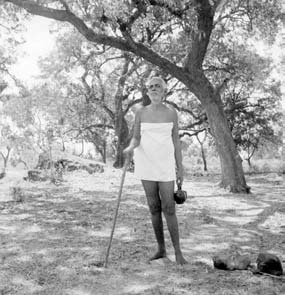 Having known for certain that everything which is seen, without the least exception is only a dream and that it ( the seen) does not exist without the seer, turn only towards the Self – Sat-Chit-Ananda- without attending to the world of names and forms, which is only a mental conception.